We started with a small team just focussing on pre-existing internet CMSs, e-commerce and direct solutions. We now have a strong team working towards building complete solutions for our clients. We have had limited exposure to legacy systems, but, we do have confidential work that we have accomplished with a legacy system, but since we were the 3rd party contractor, we can not disclose all those information in public here. 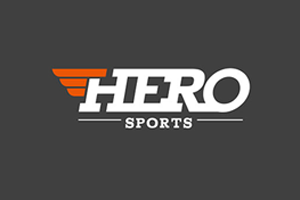 We have a team of Analyst wherein, we are helping our clients to share their new age concepts in any of the verticals (except gaming) - and we are helping them with our research, analytics capabilities and recommendation in manouvering them through their idea. We are currently working with 2 brand new ideas with funding in the range of 5M and 1M (apart from the other ongoing projects) respectively. We do not help in Fundraising, but, apart from that, putting together the entire concept into a workable idea (to be presented to the VCs) - with a Business model in the long run. We Innovate solutions for our clients to make it a successful business Idea and have the technical team to get that innovation see the commercial launch. 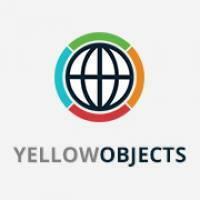 Yellow Objects is an expert in identifying and deploying technical solutions to meet the business needs of our customers. A solution from Yellow Objects is actually an association – our business working with yours to manage every aspect of your project to guarantee the best possible outcomes now and into the future. Our consultants have helped companies around the world identify, develop, and implement winning strategies, offering support and capability building at every stage of the strategic journey.We aim at providing “practical advice that works” — by “Analyzing as a Generalist and Solving as a Specialist” — thus at all times providing the client with the best available advice and support. Business Consultancy and Solutions: As pragmatic consultants with an eye on execution, we help you design and achieve market-leading performance roadmaps by combining creative thinking, technology expertise, and global reach. Application Development & Management: Our application development services help you address evolving business and technology challenges by defining, designing, and building applications tailored to meet your business requirements. IT solutions: High elegant IT solutions for Web Development, Mobile Application Development, Digital Media Marketing.